News about upcoming book releases, events, etc., for registered SCBWI PAL members. You are also welcome to include ATEB in any blog tours promoting your book release! For more information, please see the PAL section below. Contest or submission opportunities that do not charge a fee. 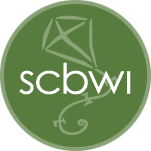 SCBWI conference or event summary recaps. Posts about the influence of living in this region on your work. Submissions on craft, social media, personal stories on your writing/illustrating journey, etc. are ALWAYS welcome! So are submissions from other regions. The more the merrier, right? Monday Motivation: Starting this year, we’ll be sharing tips on how to stay motivated from PAL members. We’d love to hear yours! January: “Hello, 2017! Goal Planning for a great year.” We’d love to read your best goal planning tips, learn about productivity apps that are helpful, and your habit keeping tricks in order to make 2017 a fabulous year! February: “From Dreaming to Doing Conference Prep.” With our annual March conference right around the corner, now’s the time for your best conference tips for first-timers and thoughts on how to survive a critique. March: “Mental March: Battling those mental demons.” Every writer and illustrator has their fair share of mental demons, whether they’re fear, doubt, procrastination, or a combination of all three. How do you defeat them? April: “Illustrators: Putting the Spring in Picture Books and more.” This month, we’re celebrating illustrators by welcoming regional members to share their art, best tips, questions, and more! May: “May Midgrade Madness.” Ah, the midgrade middle child–too old for a picture book, too young for young adult. Let’s share some love for this awesome genre with writing tips, author interviews, or if you’re feeling brave … participating in our annual May Midgrade Madness challenge! More details coming soon. June: “Diversity: Helping kids see themselves in the books they read.” Diversity in children’s literature – where we’ve been, where we are, and where we need to go. July: “It’s all about the character.” Let’s chat about CHARACTER, the foundation in every story. How do you create and develop yours? Who are your favorite literary characters throughout the years? August: “Summer Beach Reads – What is Your Favorite Children’s Book?” How did it impact you as a kid and now as an adult? Or, what is your favorite craft book? September: “Yes to YA: Celebrating Young Adult Novels.” This month, we’re focusing on the awesome young adult genre with writing tips, author interviews, and favorite novels. Be sure to share yours! October: “NaNoWriMo/PiBoIdMo – Get Ready to Go.” Plotting, Outlining, Scrivener How-to, Research, and any other ways you prepare for the big event. November: “Picture Book Month.” This month, we’re joining other November Picture Book Ambassadors by chatting everything picture book. Be sure to join in with the fun! If you’re tackling NaNoWriMo, we’ll also be offering some motivation tips. December: “Tis’ the Season” to share anything holiday related, whether it’s your favorite holiday story, how to stay focused when all you want to do is have fun, book-inspired recipes, and what have you! Per SCBWI policy, we are not allowed to promote any non-SCBWI workshops, events, contests, etc., that require a fee. Also, if you have something to share but you’d rather not submit to the blog, no problem! 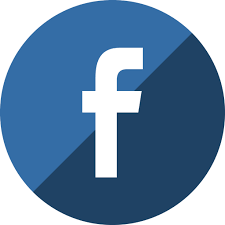 All members are encouraged to post about events, publications, personal triumphs, etc., to our Facebook Page and Twitter Feed as long as they are writing/illustrating/book related. Please send your submission, a brief bio, and optional headshot to Susan Mannix at susan.mannix@yahoo.com with all text contained in the body of the email rather than as an attached file. Attached files will not be opened. Due to copyright infringements, we will also not accept or post photographs, cartoons, artwork, etc. A descriptions of your book plus any reviews, blurbs, etc. If you would also like to participate in our Coffee & Conversation interview, we’d be happy to forward our standard questions for you to complete. Feel free to also include As The Eraser Burns in any blog tours!